Cher doesn’t use Crème de La Mer, she puts her youthful looks down to genetics; and by genetics, she probably means plastic surgeon. However, the likes of Kate Moss, Rihanna, Cheryl and even yours truly, swear by its clinically proven regenerating properties – the crème de la crème of the beauty and grooming industry. 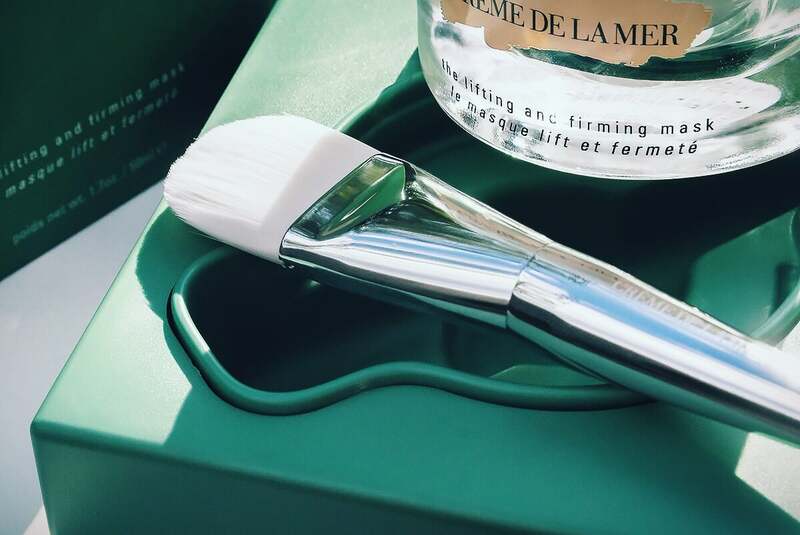 You’ll read plenty of articles out there about how Crème de La Mer is overrated and all the rest of it and the brand even pokes fun at its haters with the slogan – Coveted By Those In The Know. The people who ‘hate’ it will 9/10 never have actually used it and will tell you how they swear by Nivea original cream or something else that costs £1. These are the same people who also say things like “you’ll never guess how old I am” – which I bet I bloody will; and also “my mum used to swear by it”. Crème de La Mer certainly isn’t overrated. It’s a brand I swear by (not all the products) and when my skin is most in need, it’s the brand I look to for effortless recovery. How does Crème de La Mer work and why is La Mer so expensive? The Miracle Broth is the foundation ingredient of the entire brand and is an extremely pricey ingredient to source, produce and formulate. Discovered by aerospace physicist and botanist, Dr. Max Huber; he created what is now known as the Miracle Broth after suffering severe burns from a laboratory accident. Dr. Huber harvested and distilled an incredibly rare sea kelp that fortunately grew near his laboratory and after 12 years of experimentation; created the Miracle Broth. When he died, all that remained of his burns was a small scar on the side of his chin. The kelp is hand harvested and fermented then treated with light and sound until it becomes as nutrient rich as possible. What I love more than anything is that in order to make the next batch of Miracle Broth perfect, they synthesise it from a small amount of the previous; this means that in every cream is at least an atom of Dr. Huber’s original creation and even if that’s rubbish, it’s such a wonderful thought (I have it on good authority that is isn’t, for the record). The Crème de La Mer The Lifting & Firming Mask is a rich cream mask that harnesses a whopping great concentration of the The Miracle Broth as well as the new skin regenerating algae extract, the Concentrated Lifting Ferment. Contrary to popular belief, most types of silicone using in cosmetic ingredients are useful and serve a very important function. Sometimes their formulation can be to temporarily fill in lines and wrinkles, particularly in primer and makeup products. However, in moisture products such as The Lifting & Firming Mask, they’re used as a humectant to inject moisture and other targeted ingredients into the intracellular spaces. In short – they push product into the skin. You know how an Apple starts to go brown as soon as you’ve bitten into it and it’s exposed to oxygen? Well this is due to oxidation as atoms begin to degrade and then shoot of around the structure looking for other atoms to cling to, causing heaps of damage in their wake. Antioxidants, that you’ll find an absolute tonne of in The Lifting & Firming Mask, stabilise these free radicals in the skin and help prevent them from shooting off and causing structural damage. Who is The Lifting & Firming Mask for? Good question. When you get to a certain stage in skin care, just as with fragrance, you discover that demographic and gender serve only as marketing tactics. This mask is for whoever needs it. 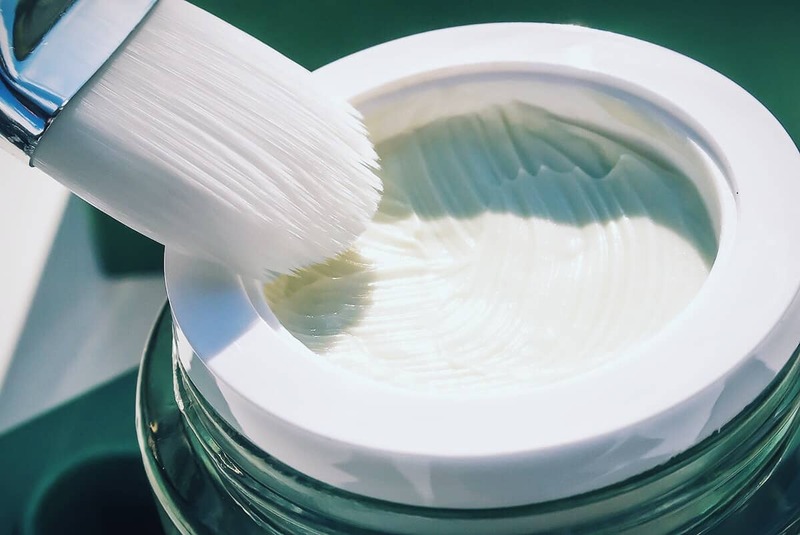 If you have concerns with lines, wrinkles and loss of elasticity (sagging) and therefore need deeply nourishing, hydrating and skin reparative benefits; then you need this mask. When I was in Spain at the beginning of last month, I’d overindulged in the sun a little, leaving me a bit pink around the edges. I didn’t take The Lifting & Firming Mask with me, but when I returned home I applied it liberally over a couple of days. Not only did it relieve the redness and tightness of the skin, but annoyingly, it reduced my tan. When I say it repairs the skin – it repairs the skin! How do I use The Lifting & Firming Mask? The mask comes with a brush for a reason; it’s not an affectation – it’s a necessity. If you don’t use the brush, you’ll end up using about 20,000x more product than you need. The photo above is after around 4 uses or so and it’s barely scratched the surface. Simply take some of the mask onto the brush and apply a thin layer all over the face and neck. Then massage in slowly but firmly and leave on the surface of the skin for 10 minutes. After 10 minutes, Crème say that you can tissue of the excess; do this over my dead body – if you waste a drop of this, I’ll kill you. Instead, massage into the skin and it will sink in beautifully. When should I use The Lifting & Firming Mask? Apply the mask at night for two beneficial reasons: firstly you can use the excess as a sleeping mask and secondly, at night is when your skin’s natural regeneration processes are most active. You’d imagine I’d be pretty peeved that I pretty much lost the tan on my face less than a week after coming back from holiday; but I’m not. Melonin pigmentation production (the skin’s natural colourant) is a sign of damage, its our natural sun shield that activates when under attack from the sun’s UVA and UVB radiation so if that process calms down, providing the colour producing cells (melanocytes) are functioning healthily, it’s because the skin isn’t damaged enough for them to activate. I definitely feel this is one of the best firming masks. It’s ability to inject it’s serum-like properties deep within the skin to plump, smooth, hydrate and balance is just unparalleled in comparison to anything I’ve used before. You’ll notice the glow, I’m certain. I’m always sceptical of ‘clinical results’ and I think it’s important not to believe everything a brand tells you. Estée Lauder Companies, who own Crème de La Mer and Clinique, tend to be pretty well behaved when it comes to not banding around unsubstantiated and misleading jargon. I do think the sample size of 25 is a bit pathetic, but nevertheless, they saw 91% of participants showing significant improvement in lifting and firming of the skin after 8 weeks. It’s undoubted that there are incredible benefits to this mask; it works better than most serums and the results are obvious. I have to comment on the feel good factor however. This mask pushes the boundaries of holistic well-being; it’s calming and unbelievably relaxing. Lime Tea extract is the naturally extracted essential oil used to give all Crème de La Mer products their famous scent. My friend Chris, a recently converted Crème de La Mer customer who’s a fan of the new cleansing gel, refers to the scent as “A facegasm; it just feels good!”. I completely agree. 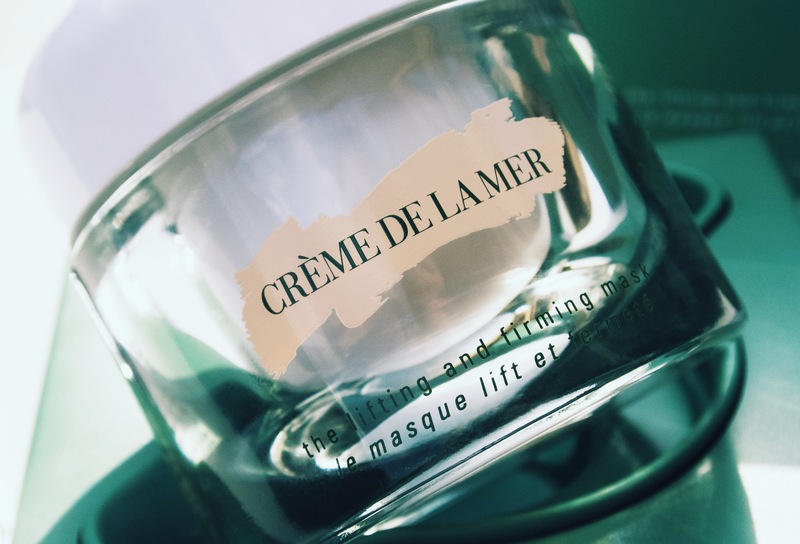 Where can I buy Crème de La Mer The Lifting & Firming Mask? 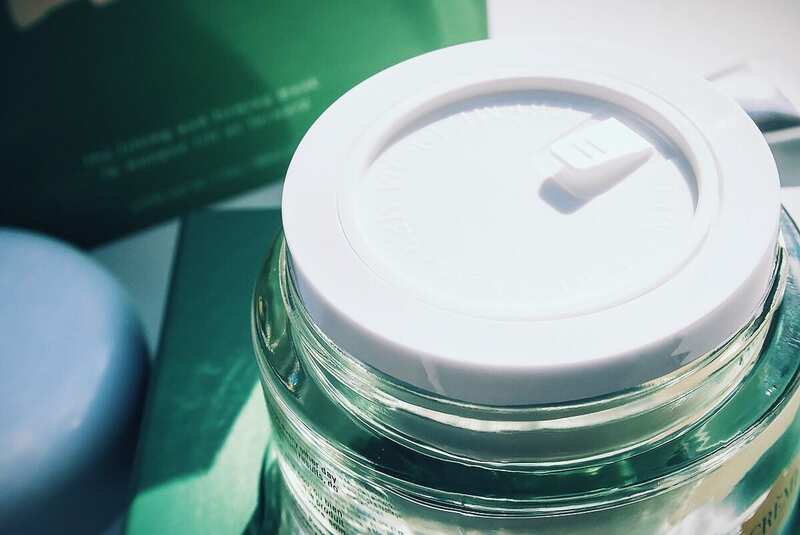 Encased in a suspended container in glass with a resin lid, chrome handled synthetic mask brush all housed in a beautiful presentation case-box; Crème de La Mer The Lifting & Firming Mask retails at £150 RRP. I wouldn’t like to say how many applications you’ll get as I already mentioned; 4 applications barely made a dint in the jar. Needless to say, it should last you a very, very long time. Unless there’s a mega-day (department store discount event), you’re always going to pay the full RRP of £150 in store, but a Crème de La Mer counter experience is something to behold. Most counters offer facial treatment services that are ultimately free, as you can redeem the cost against a product. They’re well worth checking out and if you’re up-north, particularly the guys at Selfridges Exchange in Manchester who are always extremely professional and knowledgable but invitingly friendly at the same time. Also you’re likely to receive luxury Creme de La Mer samples and freebies on counter with your purchase; just tell them I sent you (wink). You’ll of course find The Lifting & Firming Mask online at my two favourite online Crème de La Mer retailers are here at John Lewis and here at House of Fraser. This article first appeared on MANFACE written by Thom Watson. It was published on Tuesday 7th October 2014 and was last updated on Monday 3rd April 2017 at 1:52pm. It's categorised under Anti-Ageing, La Mer, Mask where you'll find more related content. Thanks Dave, I’m really pleased you enjoyed it. I’d definitely look at this Clinique Superdefense SPF20. It’s loaded with antioxidants, daily sun protection and is available in an oily/combination formula. Definitely worth a go! Love that you drink Green Tea. Also look at acai berry suppliments! An excellent, well researched and well written article, thanks for that. You made me want to go out and buy it (I won’t as I don’t have that kind of disposable income!) but I now really want it lol. I do rate masks and exfoliation highly as a deterrent to the signs of aging but as is a well know but little mentioned fact…..genetics play a strong part in how we age ;-) bet you can guess how old I am lol! Thanks Sarah, I really appreciate it; it was a long write I’ll tell you that much! Oh of course, genetics are integral and unfortunately, some people are luckier than others (I’m not going to guess, it’s always very dangerous territory, but I’m thinking much older than you appear?). On top of masks and exfoliation, daily SPF is key, at least an SPF15 every day but I’m guessing you already do that!? I know, it drives me nuts and it’s by people who 99% of the time have never tested it; just read a sensationalist article somewhere.